It's almost that time you guys! The parents are chomping at the bit to get their kids back to you, and you are most likely soaking up the last few weeks of break/scrambling to get ready for those new students! Books are my thing so I wanted to compile a list of tried and true AND some new picture books to use in the first couple of weeks (Did you like that rhyme there?) of school. 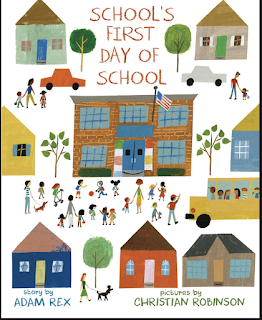 These are not just your nervous about the first day of school books, but more along the lines of establishing the kind of climate that you desire in your room and among your community of learners. A loving environment where all students feel safe and accepted! Under each book I will give a short summary and link to any resources that I have co-authored for that book if there is one. 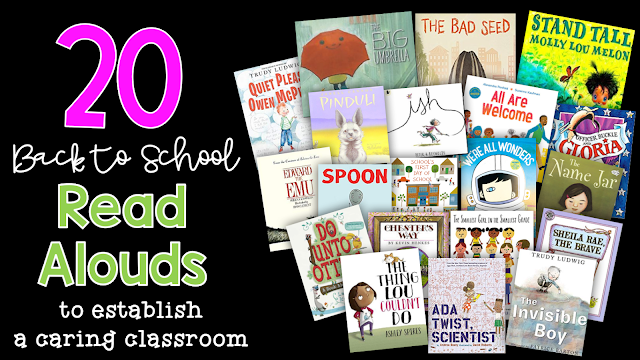 I highly recommend adding some or all of these books to your classroom library! Summary: A beautifully simple story of a big red umbrella. The umbrella protects and shields anyone that it meets. The people underneath the umbrella are all shapes, sizes, ages, and colors. 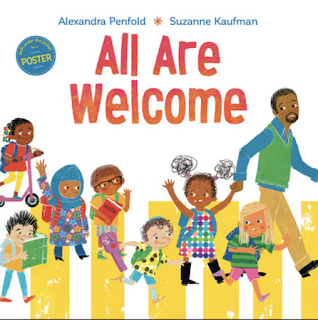 For younger children the straightforward message is that all are welcome and loved in this classroom. 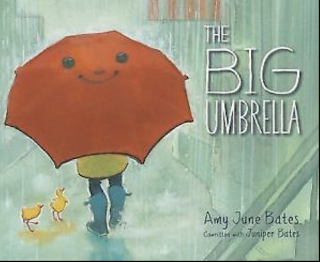 Older students will be able to dive into the symbolism of the umbrella and dive into Text-to-World connections. Summary: Just like in the chapter book and popular movie, Auggie knows he looks different, but that doesn't mean he doesn't love all the same things that other kids love. It also doesn't mean that he isn't WONDER-ful. In a very simply text R.J. Polacio is able to to address the theme that different is beautiful. I also love that she also shows in the illustrations a child coming up to Auggie to be friendly. I think too many times adults tell children not to stare when really we should be spreading the message of going up and engaging. Be inclusive! Summary: Excuse me while I go find Molly Lou Melon and borrow some bravery! This book is PERFECT for Back to School, character education, or just a laugh. Molly Lou Melon doesn't let anyone get to her! I love the lessons she learns from her grandmother, and per usual, David Catrow’s illustrations are perfectly whimsical! Summary: Ada, oh Ada! She is delightfully curious and creative. Isn't that what we want from our students? Curious and creative? 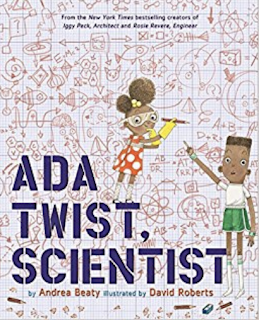 Talk to students about how you will support them in their passions, just like Ada's parents did. That we need curious students or otherwise the world's mysteries will never be figured out. 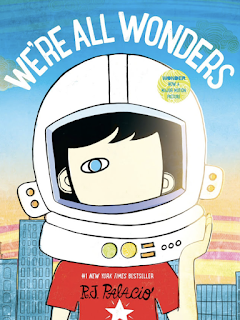 Bring up famous scientists and inventors and ask students what the world would be like if they hadn't been curious? Summary: I totally judged a book by its cover when I bought this one because look at that cover art!!! Luckily the insides are just as good. Let me give you the rundown on why I love this book: 1. 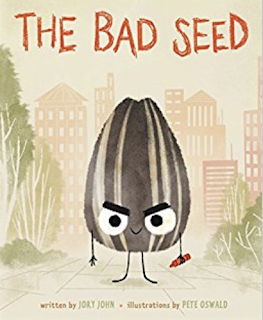 We need to remember as teachers that our students are largely the product of some sad and scary stuff that happens to them outside of school- hence the reputation of a "bad seed". We just see the behavior that is a result of circumstances that they can't control. 2. NO student is ALL bad or all good. It's our job to highlight the good so that they want to showcase it more. If I was judged based on my attitude when I need more coffee, I would totally be labeled a bad seed. 3. Students can steer their direction in life with the right guidance and support. 4. The illustrations are awesome!!! 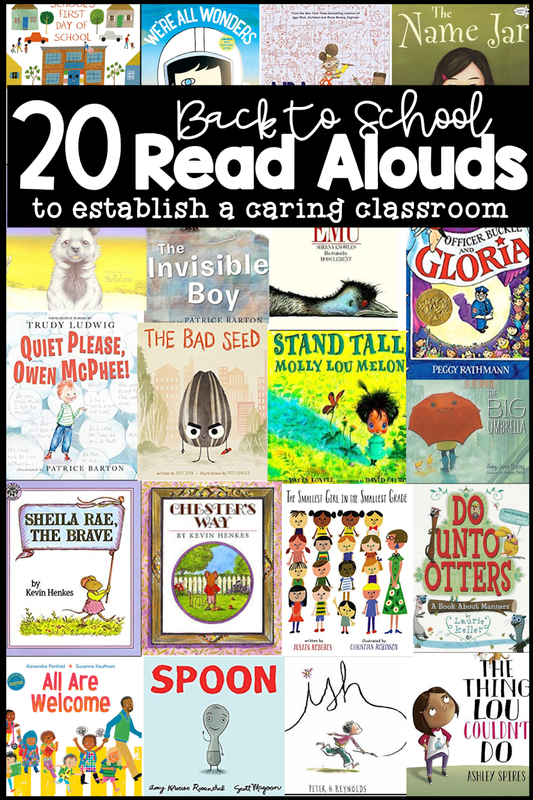 This is a must for your read alouds K-5 teachers. You heard me- keep rocking those picture books 5th grade teachers! 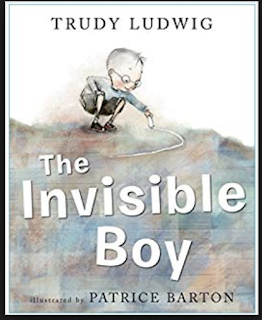 Summary: Trudy Ludwig is the author of Invisible Boy. 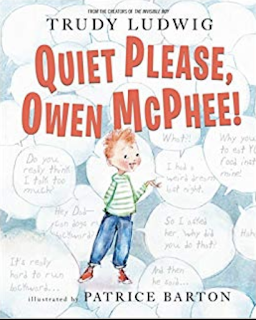 Owen McPhee is a perfect beginning of the year read aloud to address talking over our classmates or teachers. We miss SO much when we don't listen to others. In addition I think it would pair beautifully with Louder, Lili (a personal favorite about a girl who finds her voice to save her class pet from a bully). It would allow you to address how finding a balance of talking and listening is key to success in our classrooms! Summary: "We're part of a community. Our strength is our diversity. A shelter from adversity. ALL are welcome here." Well if that line doesn't say it all! This book shows students of all colors, backgrounds, and religions learning, playing, eating, sharing, and enjoying being together. This book is the perfect visual to let students know that they are safe and loved. You will set the precedent for the year with this beautiful book! Summary: There’s so much I love about this book. 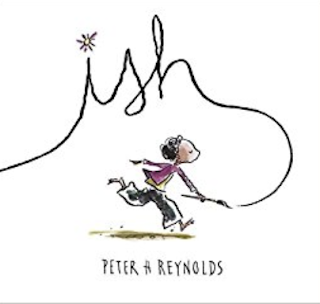 For starters, I’m a big fan of books that talk to students about staying true to themselves and that’s exactly what Ish does! My favorite teaching point to hit home with students from this book is the impact of kind words. Teaching kids to compliment each other is HUGE and not something that comes naturally to many. Think about what it means to you when someone goes out of their way to make you feel good? It’s so easy and something that we definitely want in our classrooms! 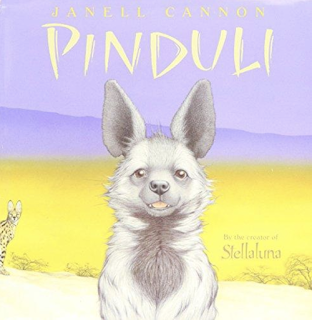 Summary: Pinduli becomes the victime of verbal abuse from her peers. They make her question everything about her appearance. She tried to change who she was for them. In a surprising turn of events, she manages to scare the other animals and learn the strengths she didn't know she possessed. Pinduli also allows for a beautiful class discussion on the impact of one mean phrase and how it ripples out to everyone around. If you are going to impact the world every day, wouldn't you want to leave a positive mark instead of a negative one? 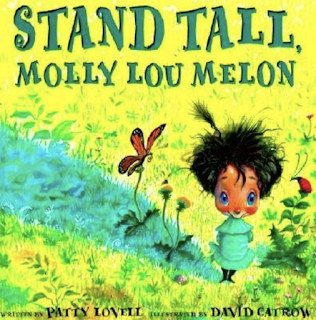 Summary: It is BOLD statement when I declare my favorite picture book but this is it. If you could only have one book in your classroom, this is it. K-12 WE ALL NEED TO BE READING THIS BOOK. It is not a new concept that many students feel lonely or left out, but it is one that we can directly address and try to fix. Relationships and connections will change the world, one day at a time. Trudy Ludwig, thank you for this beautiful book. 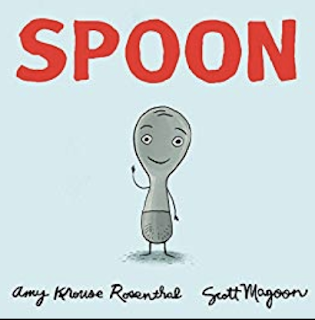 Summary: Have you read Spoon? If not, run straight to Amazon!! Spoon becomes jealous of the other cutlery because they appear to be better at things that spoon isn't really made to do. Spoon's parents help him to realize his gifts. Did I mention that there are tons of idioms and humor for adults and students alike. What an adorable, engaging way to talk to students about being proud of who they are!!! Summary: School is nervous about the very first day with students. The janitor helps ease worries. School ends up enjoying the day and asks the janitor to make sure the students return the next day! The change in perspective with engage students while helping to make them more comfortable about the new experience. Not to mention, the illustrator Christian Robinson has SUCH a beautiful style. Summary: Unhei (pronounced Yoon-Hey) is leaving all that she knows in Korea to move to the United States. Kids on the bus immediately begin to poke fun at how different she is than they are. Unhei begins to question if maybe having an American name would help her feel more accepted. 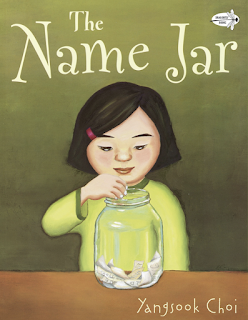 Not only is this book an excellent resource for addressing how classmates should accept each other, it is a nice reminder to teachers to respect a child's name. It is never okay to poke fun or change a child's name so it is easier for the adult to say. You can show a child just how much you respect them by putting the extra effort into pronouncing their name correctly! 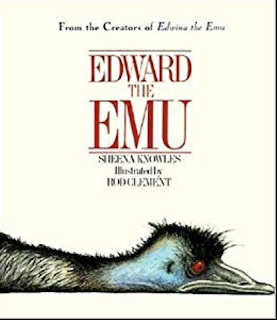 Summary: Edward the Emu is in my top 3 B2S books. I first heard about Edward at a Kagan Training my first year teaching 13 years ago- goodness that feels like forever ago! I immediately fell in love with the book and shared it with my team because that is what I do when I love a book! The rhythm is perfection. The illustrations are dreamy. And the message is so on point. Stop trying to be like every other animal in the zoo! You are beautiful and wonderful being exactly YOU! If you don’t have Edward the Emu yet, what are you waiting for?!? Summary: If you have been in the classroom for ten years or more, you most likely know about Offier Buckle and Gloria. 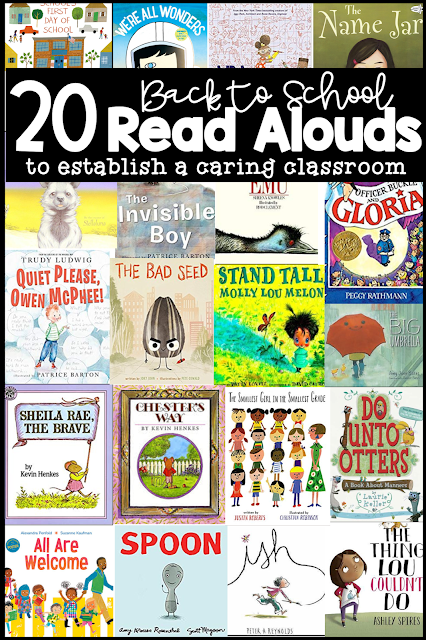 I occasionally like sharing books that have been around a while because the new-ish teachers may not know them! Officer Buckle is the PERFECT book to help establish school safety guidelines. I totally have second thoughts every time I stand on a chair thanks to this book! Ha! 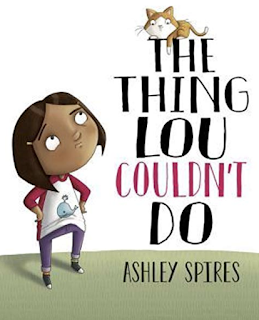 You can also pull in themes of friendship and forgiveness from this faqntastic picture book! Not to mention- the inferences from pictures!!! 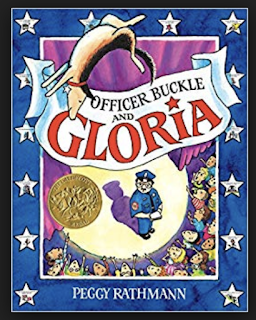 Do you love Officer Buckle and Gloria too?!?! Summary: Kevin Henkes has my heart. I truly adore every book he has ever written. 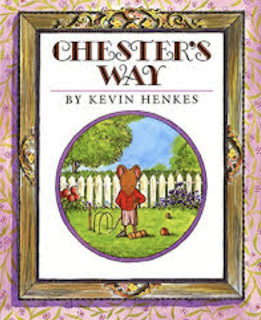 Chester's Way is definitely at the top of that list though because Chester learns just how much he will gain by creating new friendships. In true Henkes' style, the rhythm and illustrations allow children to enjoy the text with ease. 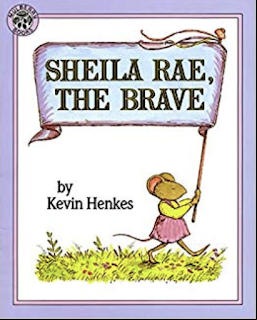 Summary: Sheila Rae isn't scared of ANYTHING, that is until she gets lost. Her little sister Louise, who is pretty much scared of everything steps up to the plate and shows Sheila Rae that it's okay to be scared and depend on others for help. Summary: I have had this book in my library since my very first year teaching. It’s such a fun way to open up a discussion on how we expect to treat each other in our classroom. I know many of you make a classroom contract at the beginning of the year and I think this would be a great opener for that lesson. 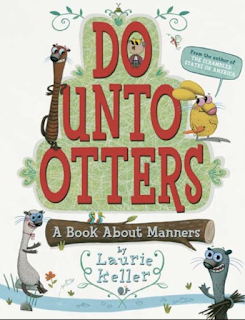 The book also addresses the idea that just because someone is different (The otters) doesn't mean that they are weird or bad! I hope you really dive into that with your students. So much of hatred blossoms from not knowing and being scared of different. 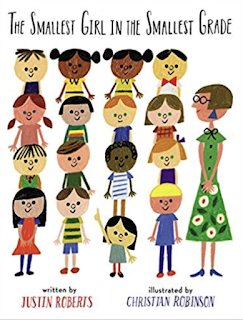 Talk to students early and often about the beauty and importance of diversity! Summary: How do children react when they encounter something new that might be difficult? Even as an adult this is something I struggle with... the ability to push through. I think it is important to address pretty early in the year that every single one of us will be trying new things this year. The book also shows children playing outside using their imaginations. Seeing children acting this way will encourage students to continue this practice themselves, and we all know that PLAY is the most important work for children! Summary: I have shared this book several times on my Instagram ( queenof1stjungle ) because it is just that good. One little girl learns how important her voice is. By pointing out to her classmates how awful they are being to each other, the students are able to make a positive change in their behavior that impacts their classroom climate in a big way. I know just how slammed those first few weeks of school are, but I also know what it is like to have an unexpected 5 minutes of NO PLANS. Uh oh! Why not have a basket of these books ready to go just in case! I promise you will set the stage for an amazing year!